If you buy an executive aircraft you could not necessarily expect its residual value to stay high after an enjoyable number of years of travel freedom in comfort and safety. Yet there is one aircraft assessed in the latest edition of the Aircraft Blue Book that has an unusual aftersales trend reported. Edwin Brenninkmeyer, CEO of Biggin Hill based Oriens Aviation, the UK and Ireland new aircraft sales distributor for the Swiss manufactured Pilatus PC-12 NG, says that a quick search on www.aircraftbluebook.com will reveal that this bestselling turboprop aircraft has seen its residual value graph see depreciation stopping after circa 3 years and flat lining. In the last quarter it suddenly raised. So what does make a new $4.9m (USD) aircraft become a prudent buyers choice? Its low cost and economical operating costs thanks to its turboprop engine, a long range (1700 miles) without having to refuel unlike the small expensive jets available, good cruise speed over 320 mph at 28,000ft above the weather, room for a pallet load thanks to is big cargo door and a built private toilet so great for family travel. 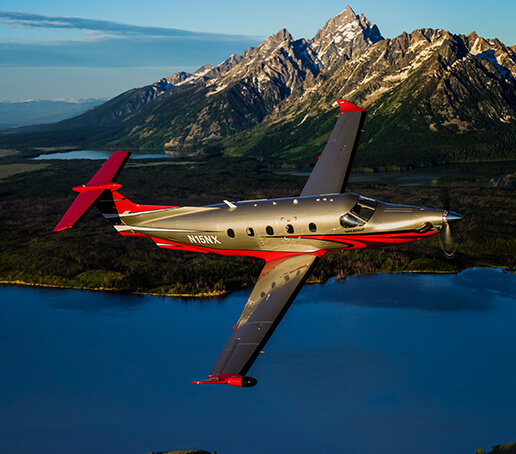 The Pilatus PC-12 allows you to operate with nearly as much convenience as a helicopter but with significantly lower maintenance costs and with much greater range, payload and comfort. It is the perfect complement or alternative to the helicopter, providing the best short and unprepared field performance possible for a pressurised, fixed wing aircraft. This allows the use of smaller fields, closer to the final destination, that enable near helicopter convenience.